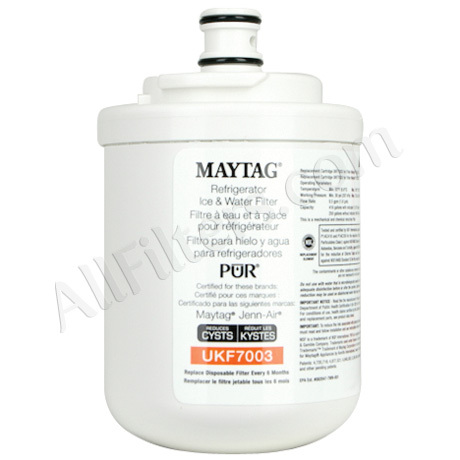 Maytag UKF7003 PUR Refrigerator Water Filter - $26.95! 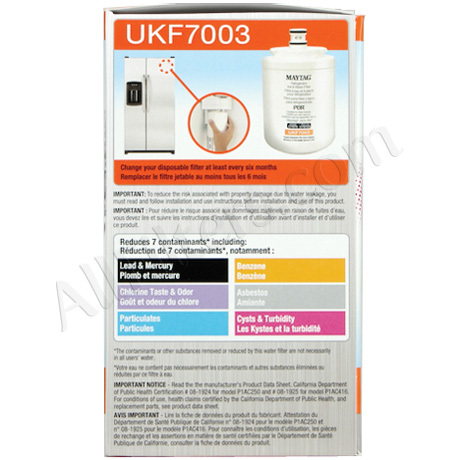 UKF7003 has been discontinued and replaced with the new, improved EDR7D1. 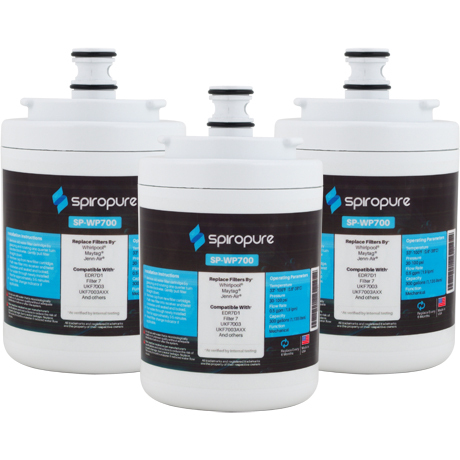 The EDR7D1 will fit any refrigerator that currently uses the UKF7003. 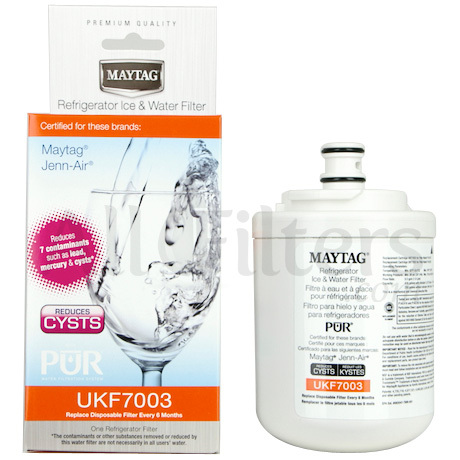 The genuine OEM Maytag / Jenn-Air UKF7003 PUR replacement filter fits Maytag and Jenn-Air refrigerators with a round, screw-in filter located inside the refrigerator compartment above the top shelf. 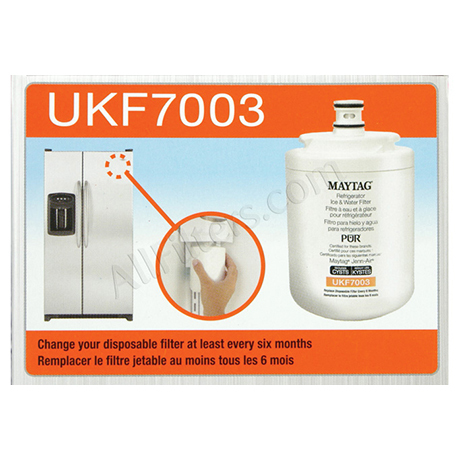 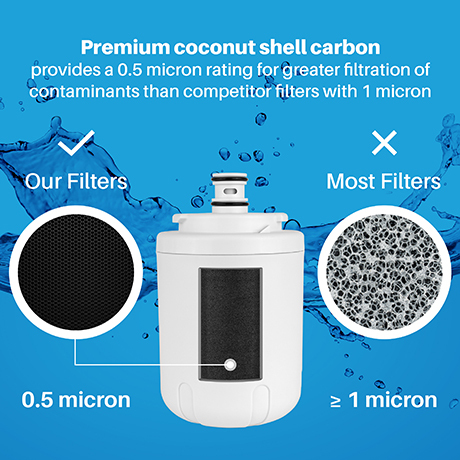 This filter was previously known as the Maytag PuriClean UKF7003AXX. 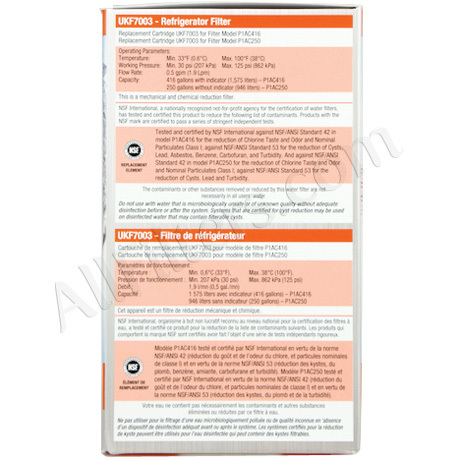 *Maytag UKF7003 will replace any JennAir fridge filters that feature the part numbers listed above (Jenn-Air refrigerators are made by Maytag). 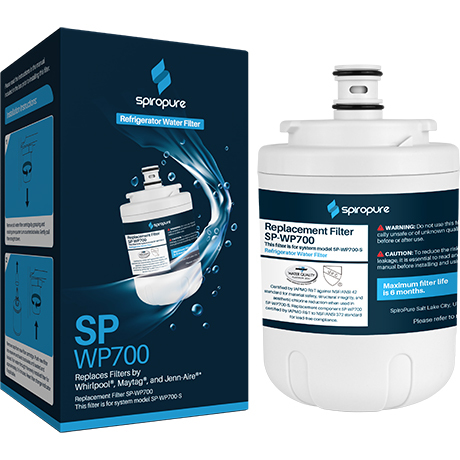 Press and hold the “Lock“ and “Light“ buttons (“Lock“ and “Water“ buttons on newer refrigerators) on the dispenser for about 4 seconds or until the indicator light starts flashing.